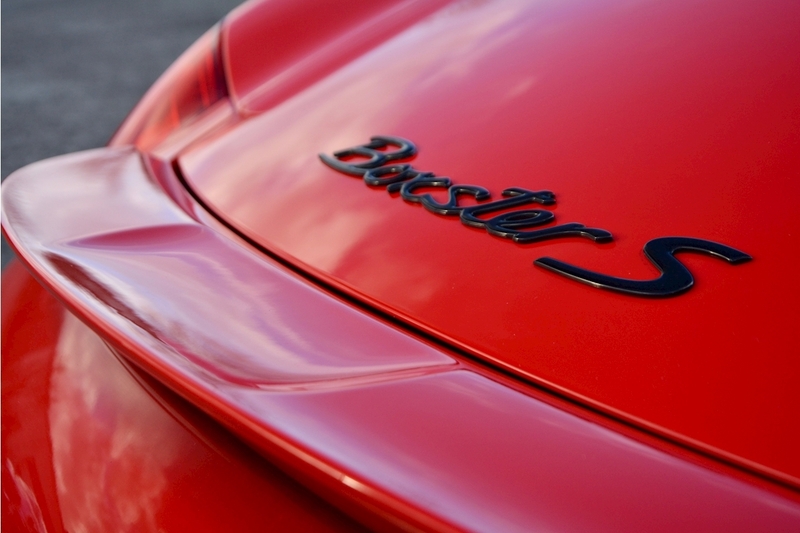 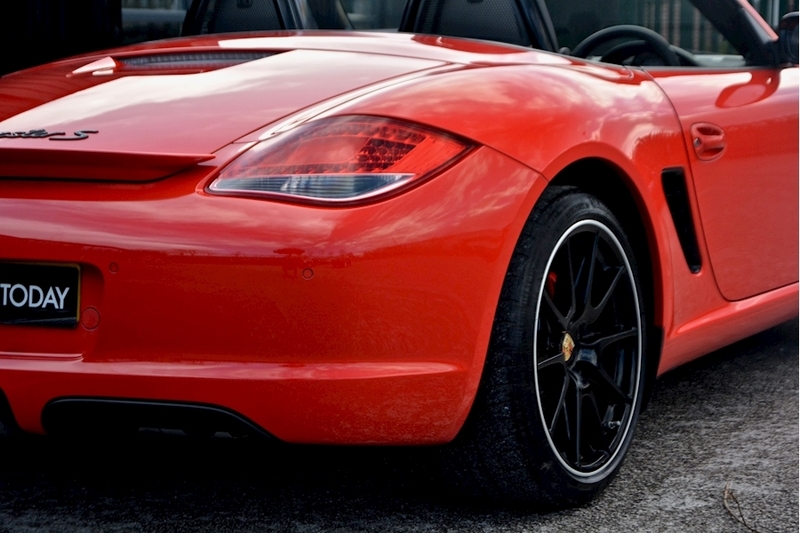 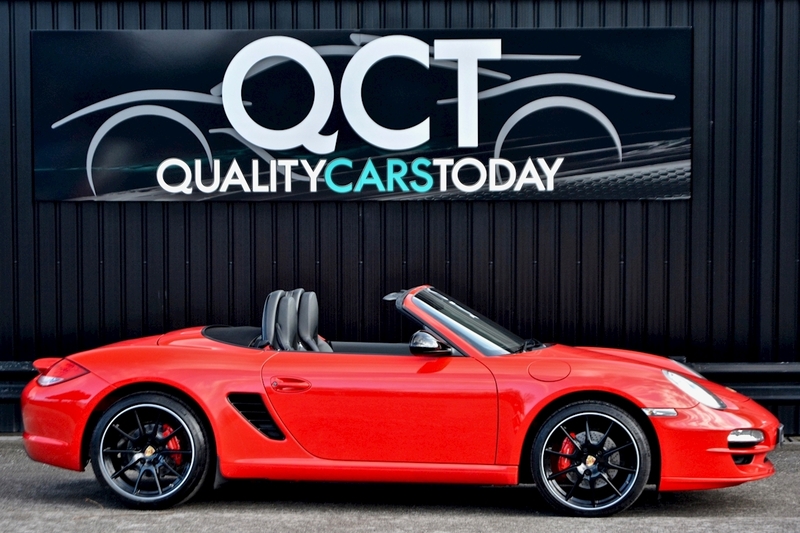 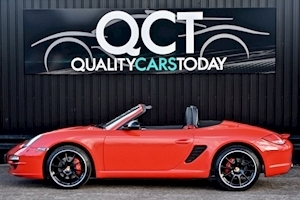 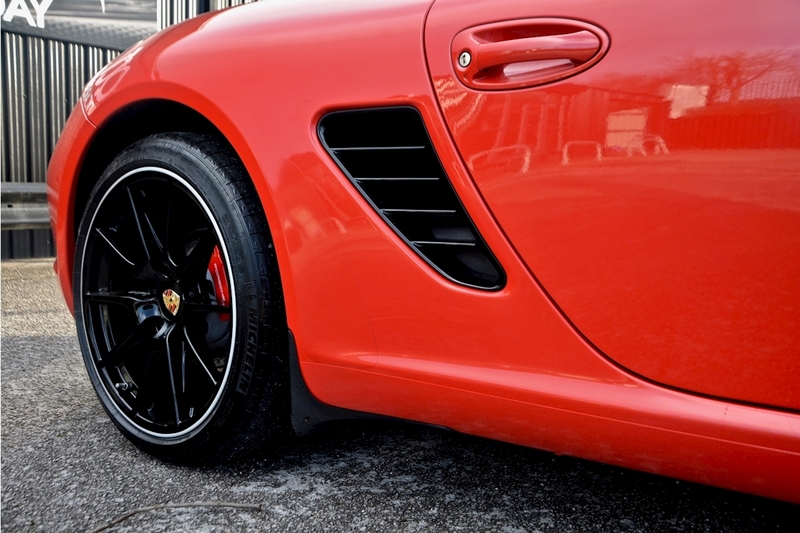 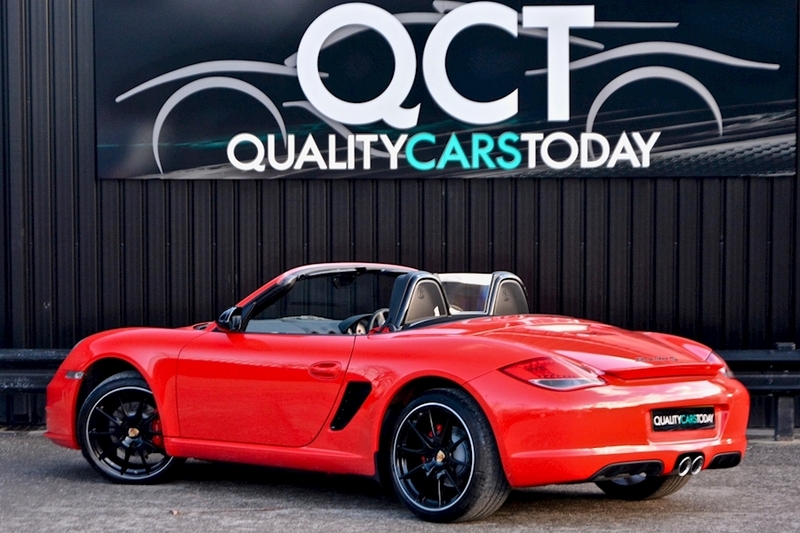 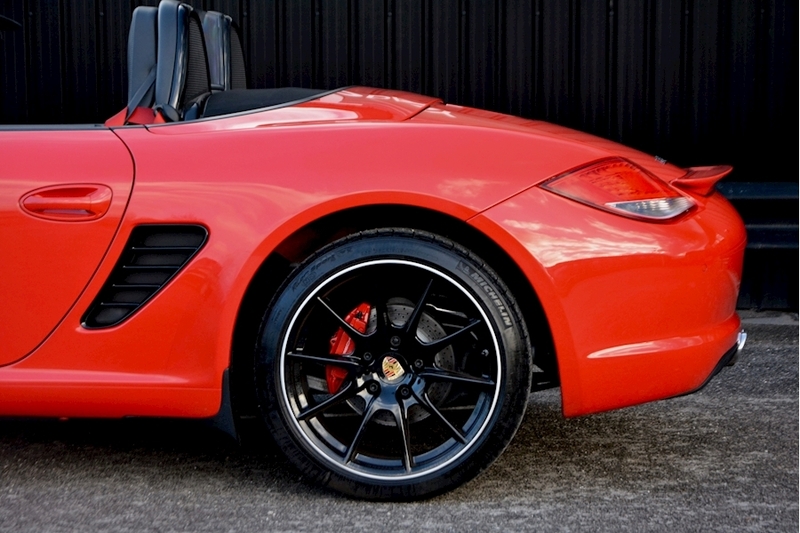 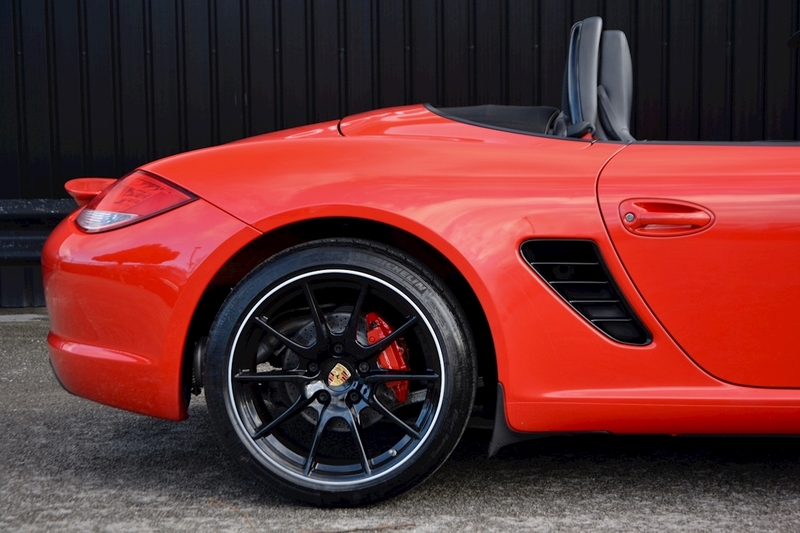 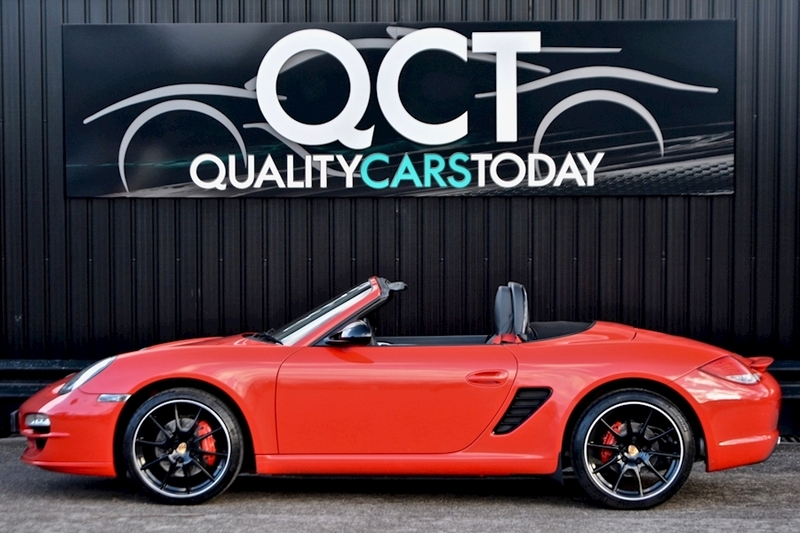 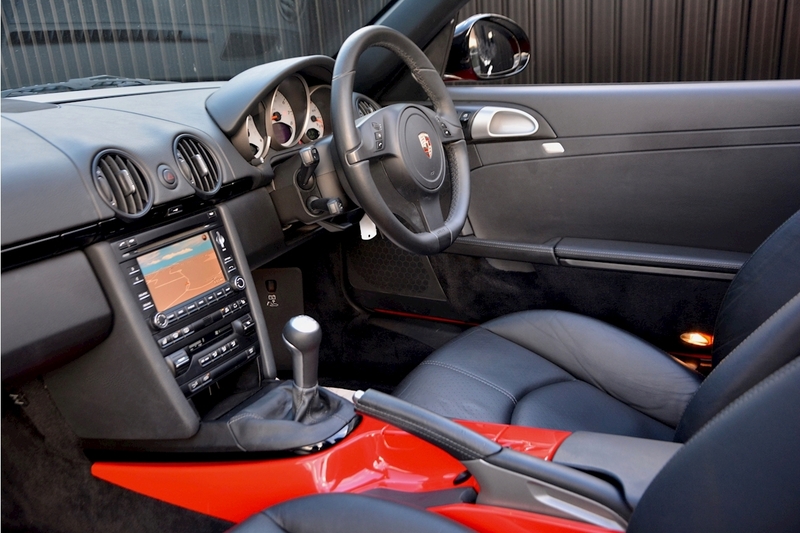 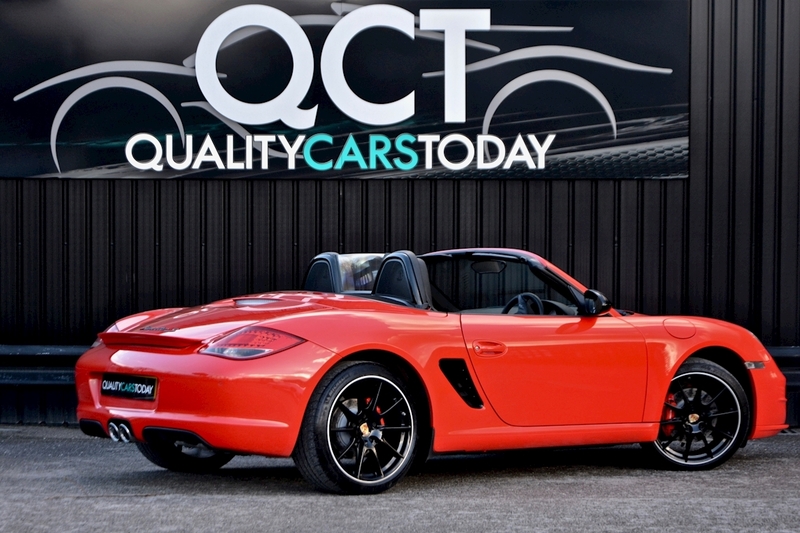 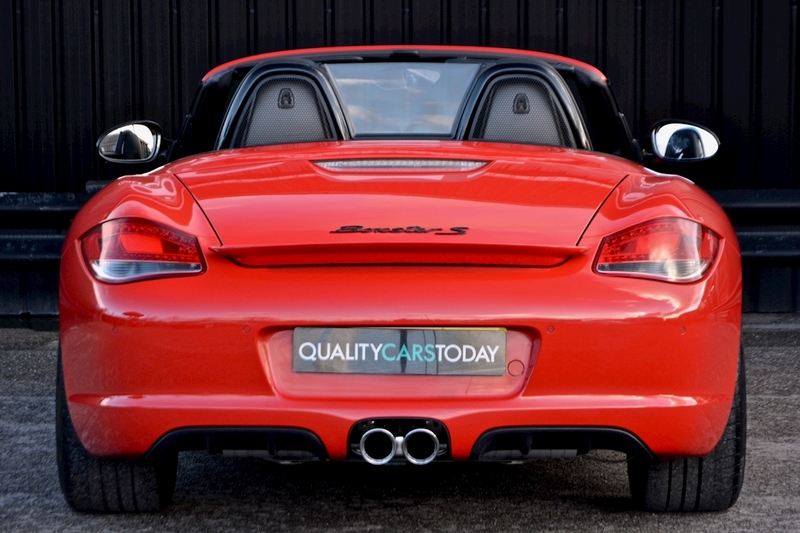 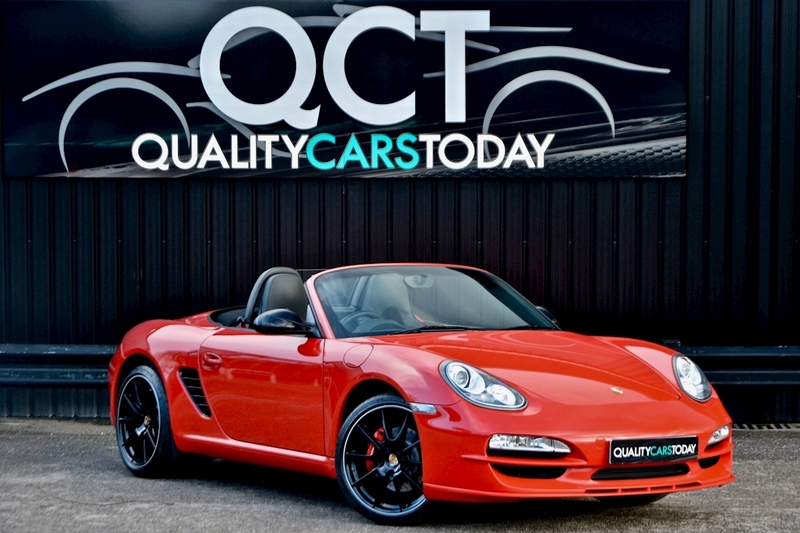 We are delighted to offer this very high and rare specification Generation 2 Boxster S Manual. 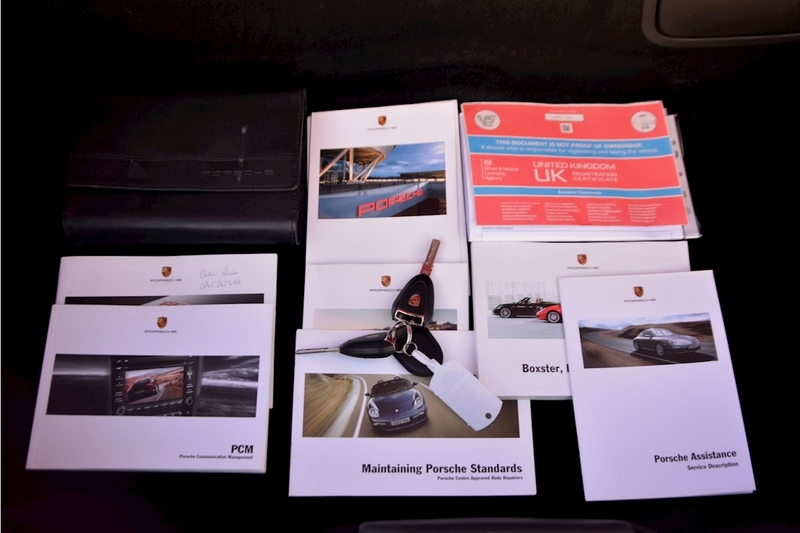 This car has over £12,000 worth of cost options, detailed below, including the ultra rare Sport Design Package (body styling). 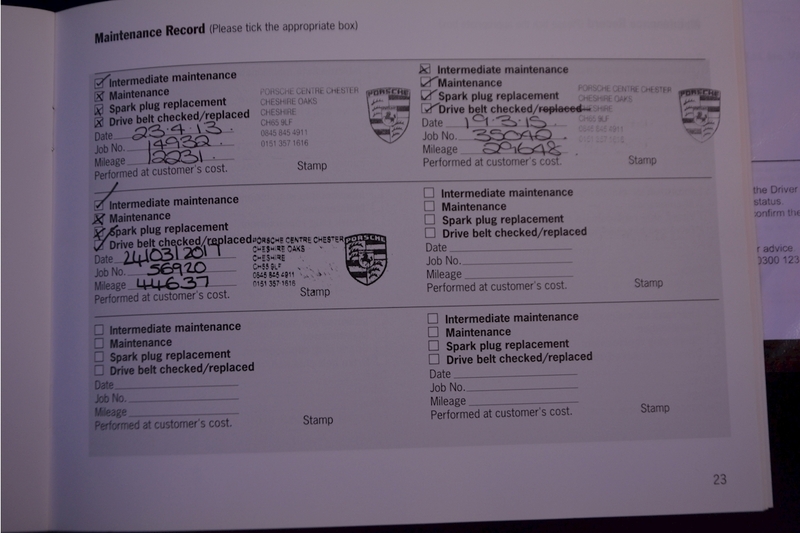 This car also has a perfect provenance being 1 Lady Owner from new with Full Porsche Main Dealer Service History. 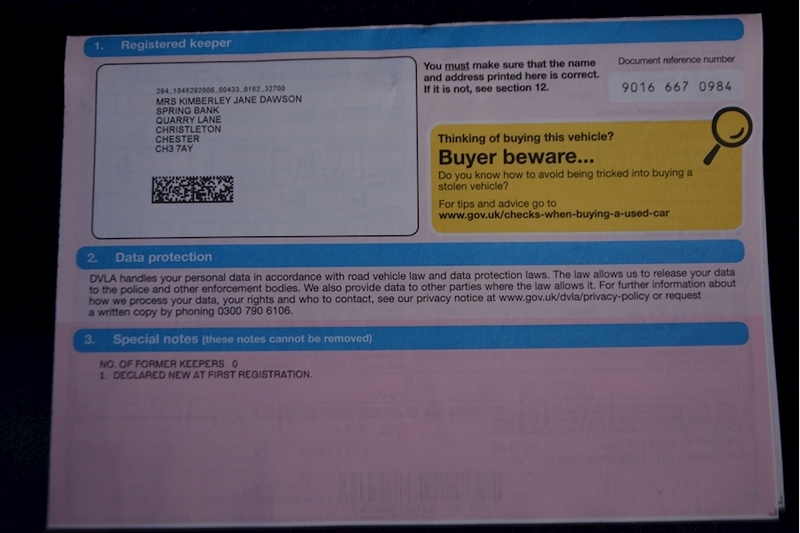 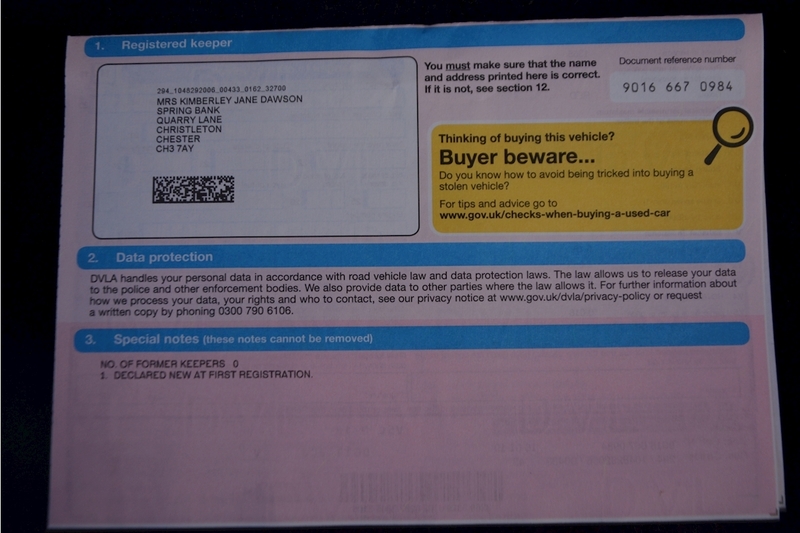 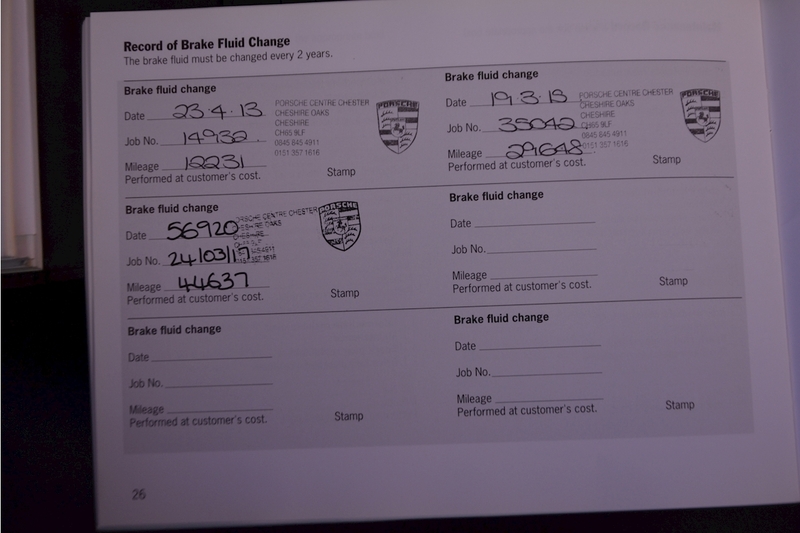 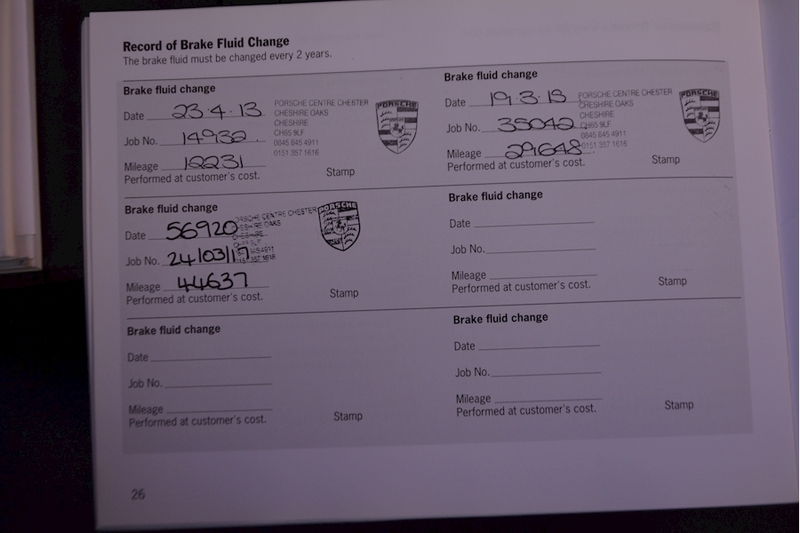 The brake fluid has been changed and stamped in the book also. 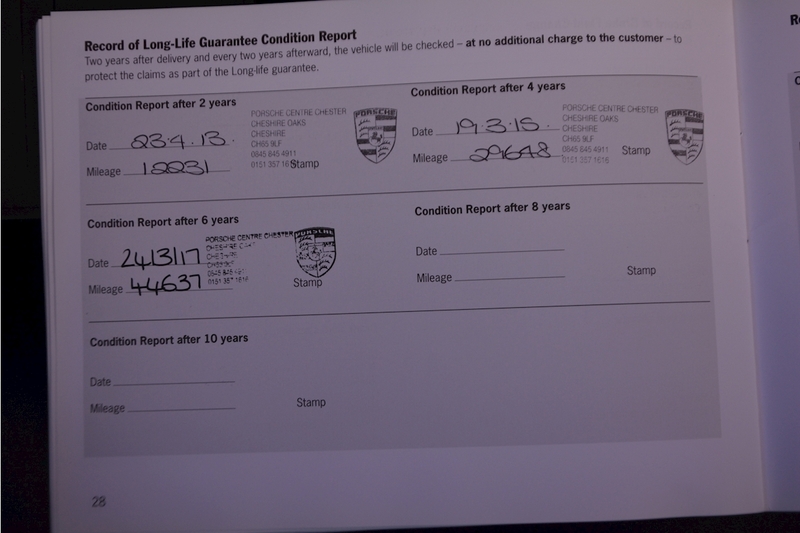 Likewise the long-life guarantee condition report has been carried out and stamped. The Porsche will be serviced by Porsche Centre Sheffield with brake fluid change prior to sale. 52,833 miles 29.03.18 with "no advisory items." 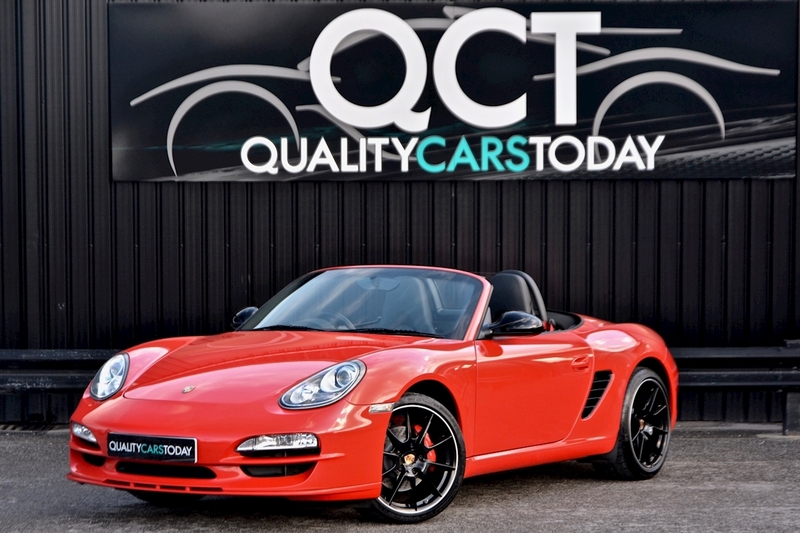 This Boxster has a perfect provenance being just 1 Lady Owner from new with Full supplying dealer service history. This example has been maintained to a very high standard from new and is supplied with fresh Porsche Main Dealer Service and fresh MOT. 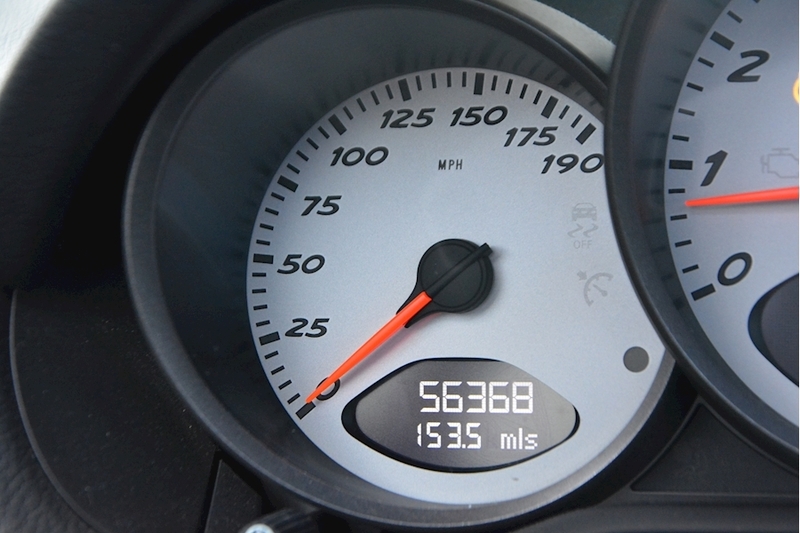 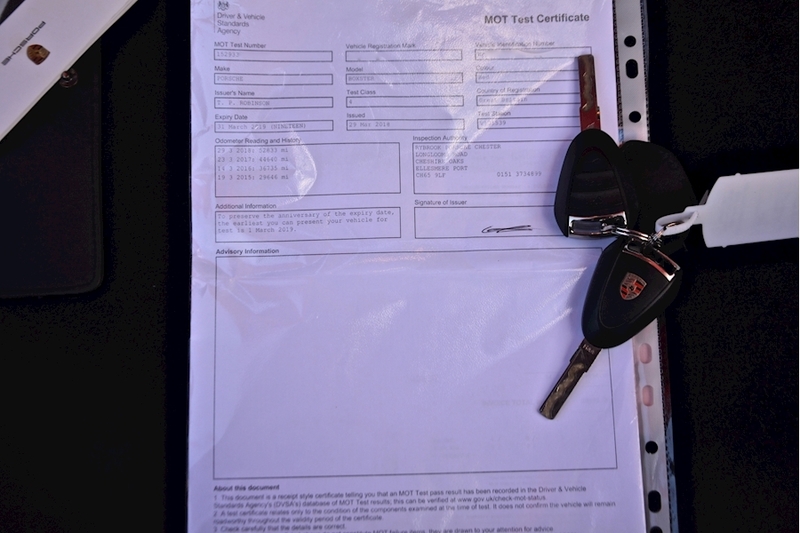 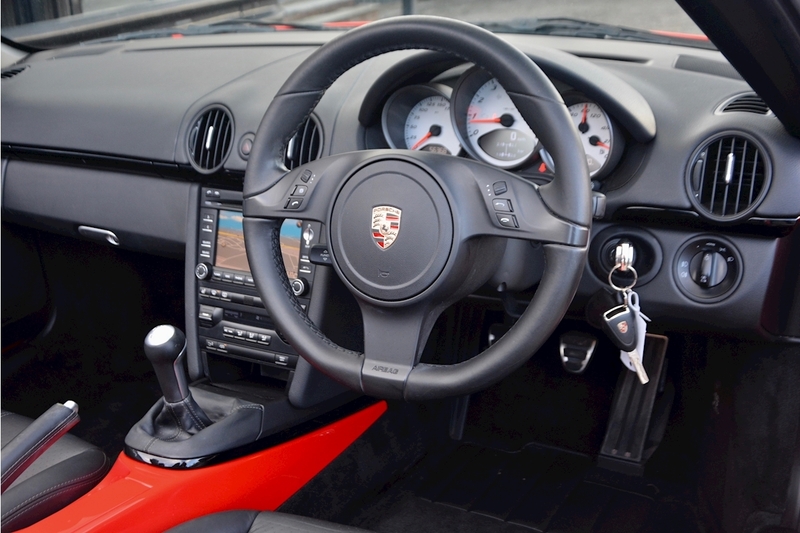 There are no warning lights on the dashboard after extended test drive and were no advisory items on the last strict Porsche dealer MOT. 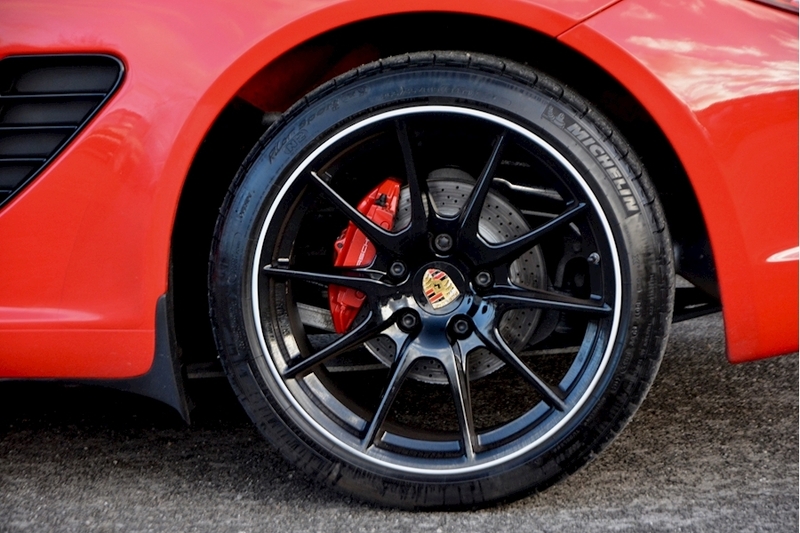 The tyres are all Premium Michelin Pilot Sport items, another sign this car has been maintained to the highest standard. 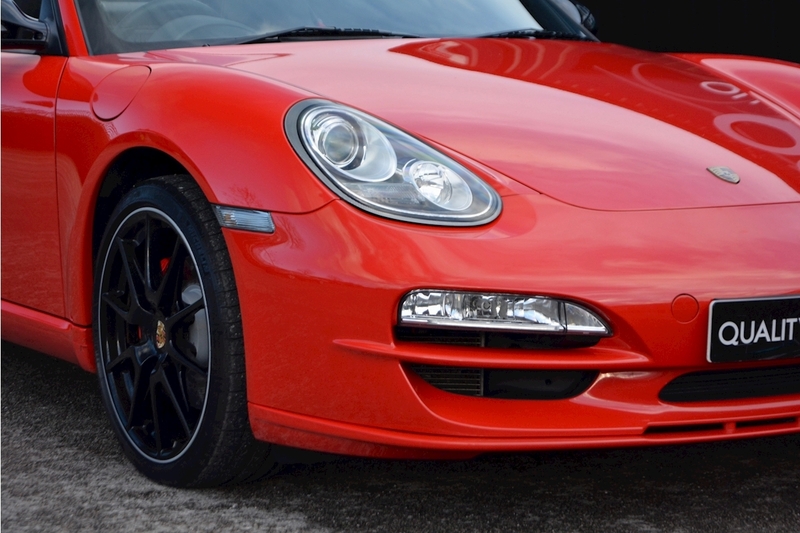 This Gen 2 car with the glorious normally aspirated 3.4 litre engine, Porsche Sports Exhaust and manual shift is the last of its kind. 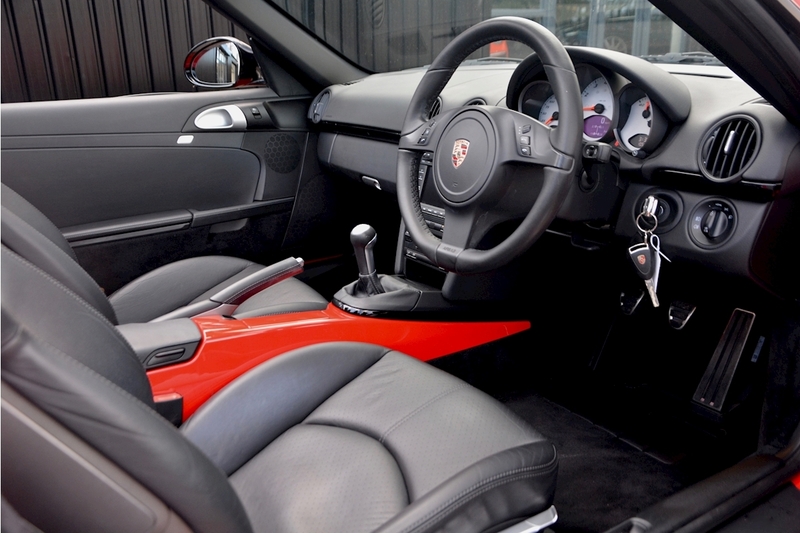 This car is an absolute event to drive with unique Porsche noise, perfectly balance handling and perfect gear shift. 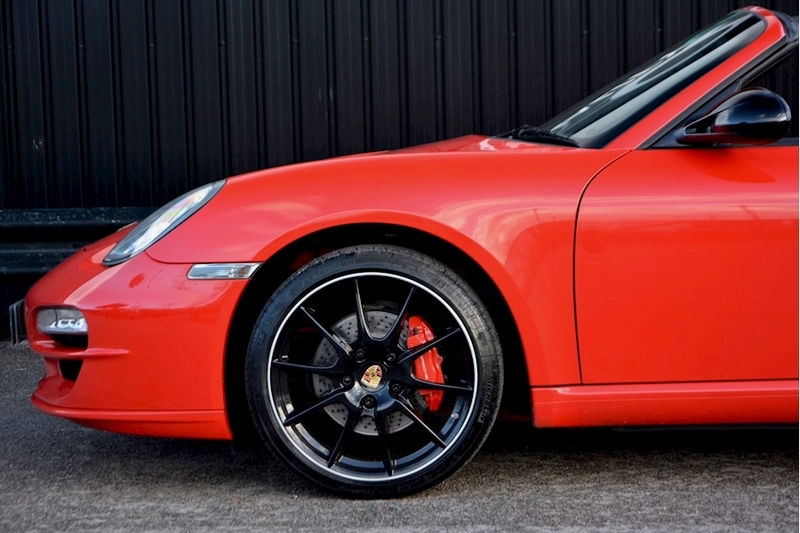 Any inspection or test drive welcome. 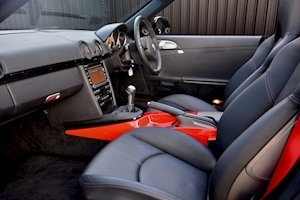 Supplied with 6 months (extendable) nationwide RAC Warranty. 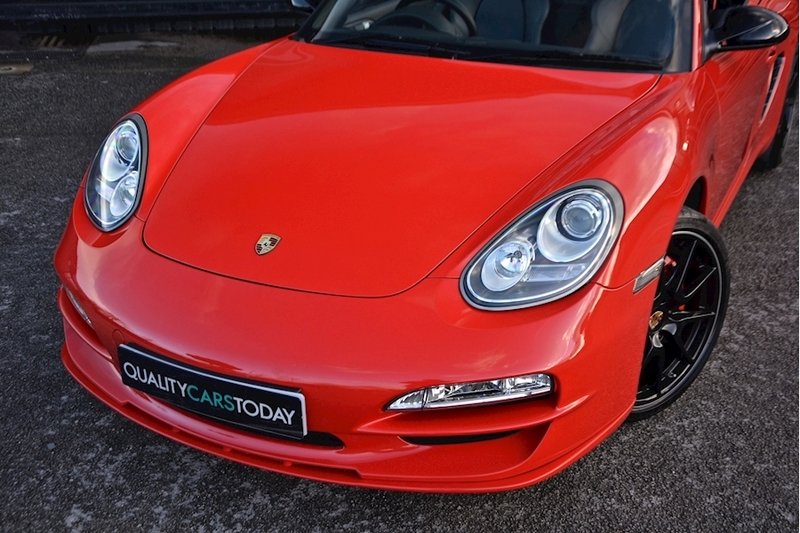 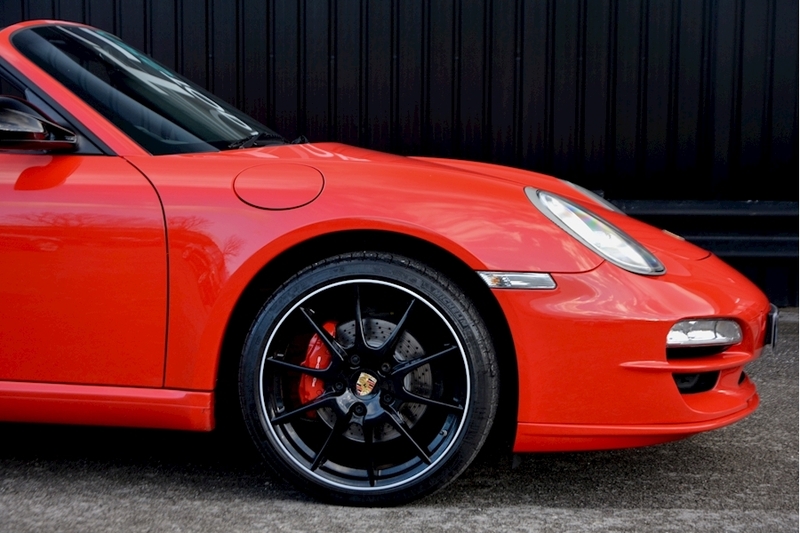 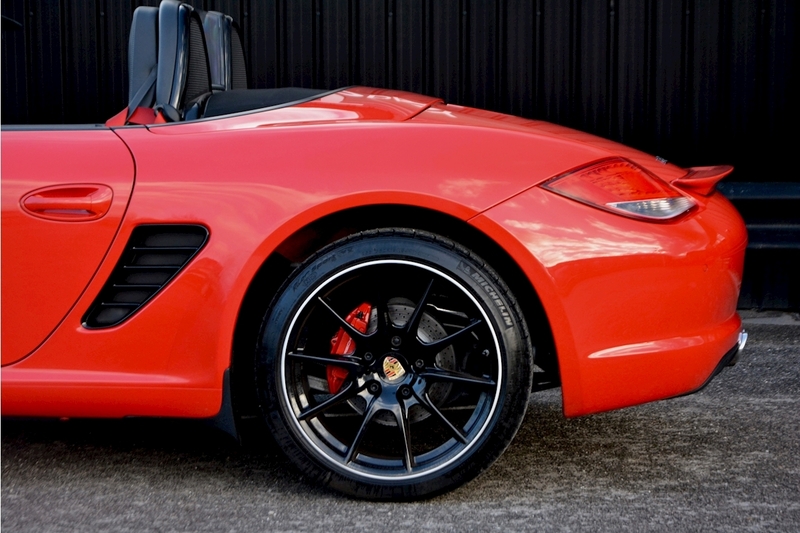 Presented in classic Porsche Guards Red with rare SportDesign Package and 19 inch wheels, this is a stunning example. 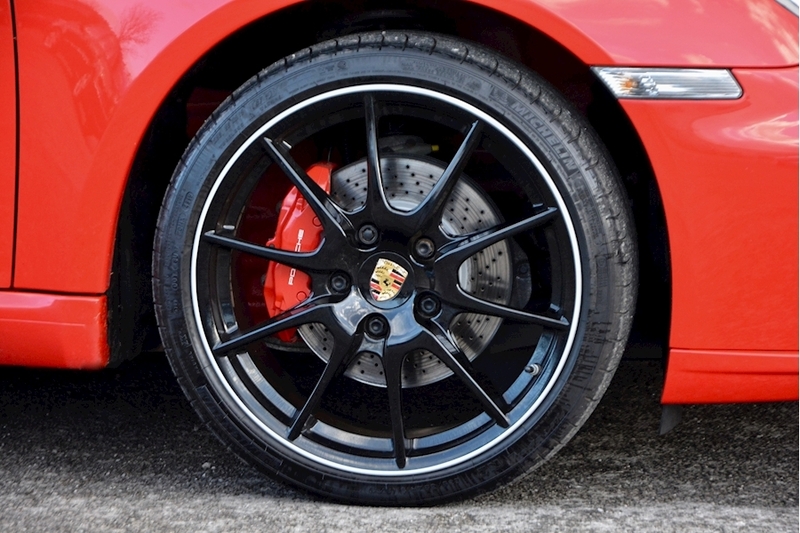 The Gloss Black detail along with the factory Black wheels enhances the look of the car further and makes for a unique looking example. 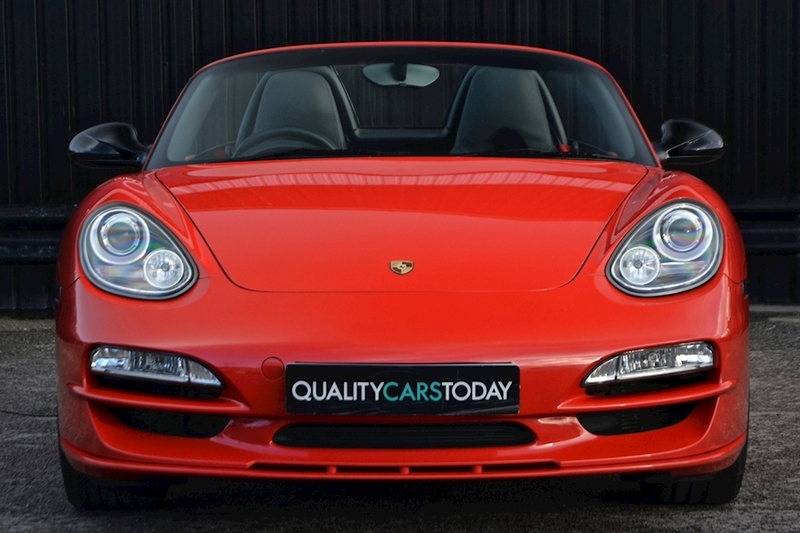 This car is a credit to the lady owner and the bodywork is in very good condition. 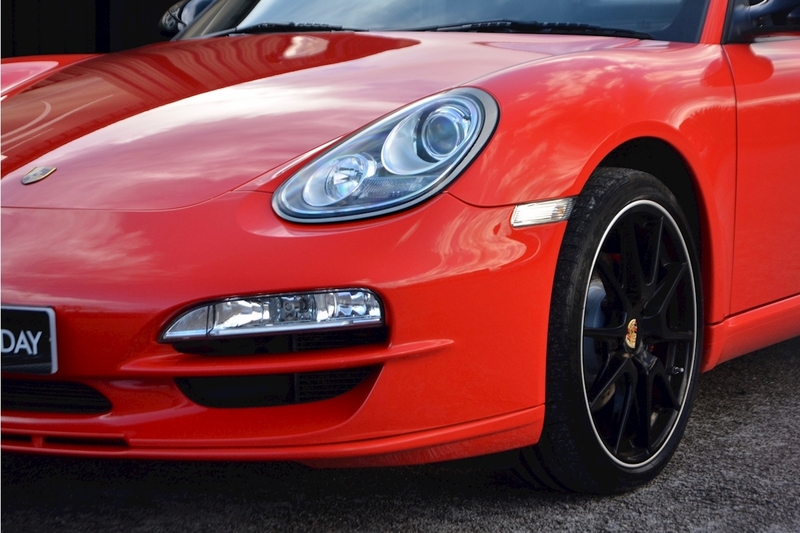 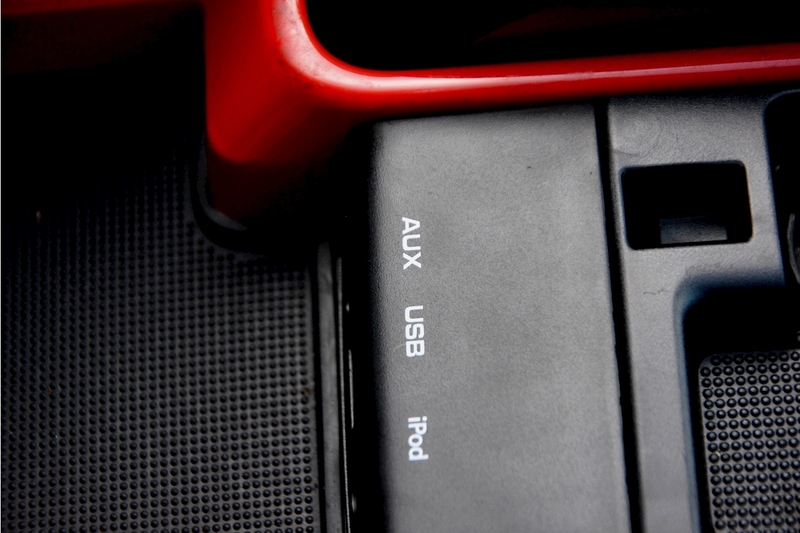 There are no scuffs to the bumpers, rear park aid in working order, car park dents or other significant damage. Being critical there are some very minor stone chips to front end to be expected at the age but nothing large, excessive or significant. 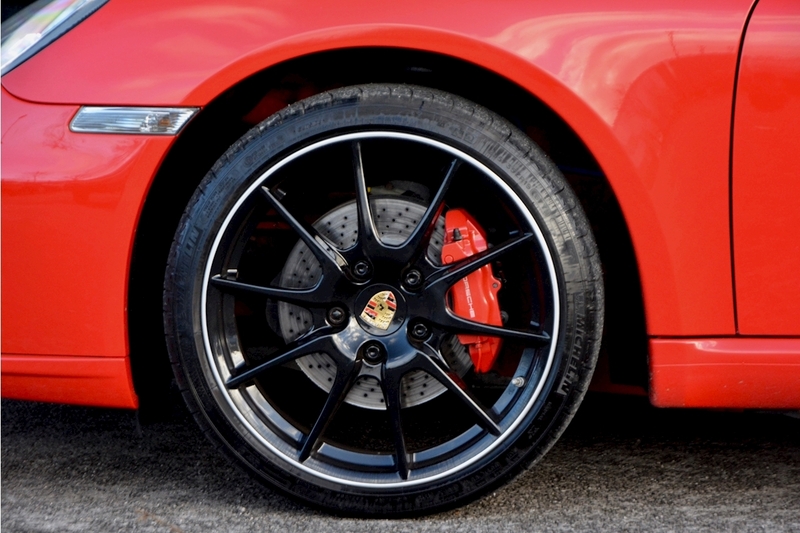 The wheels are in superb condition with no ingrained dirt on the front or inner face. 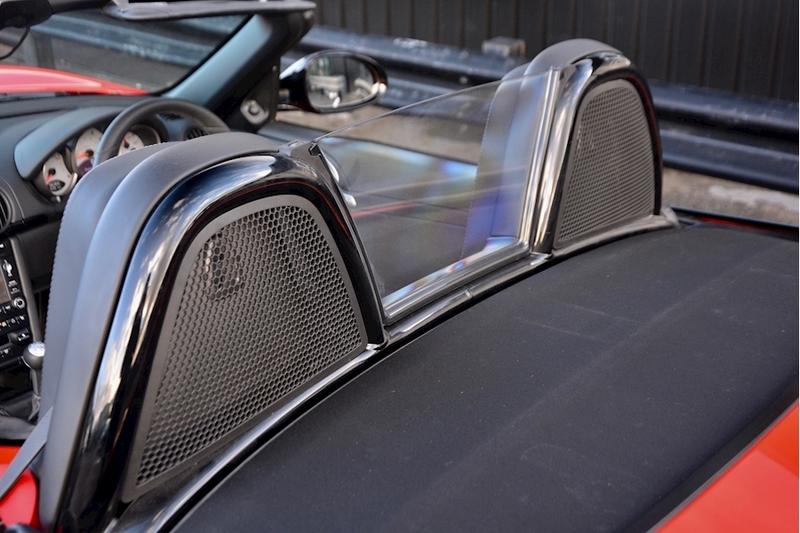 There is no curbing to the silver edge at all. 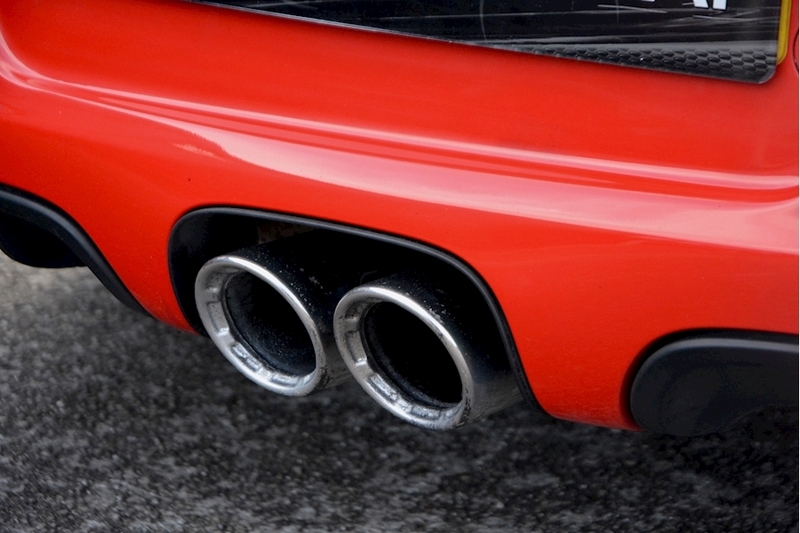 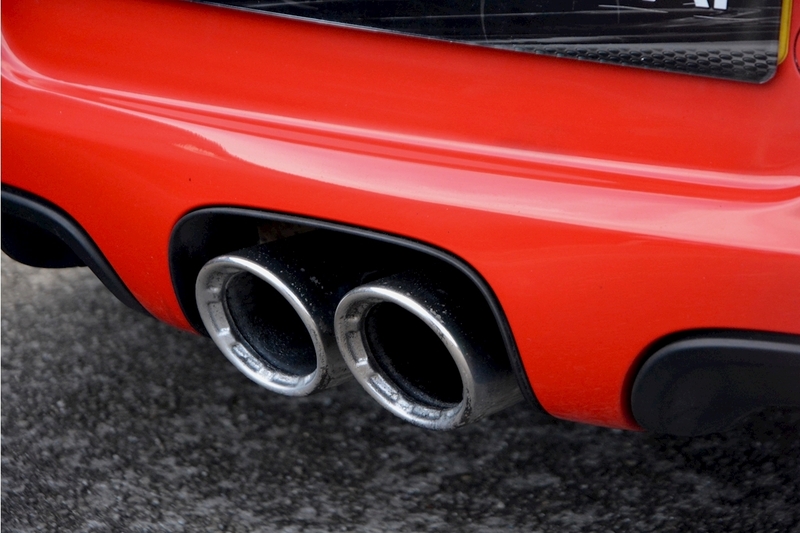 The sports exhaust tailpipes are extremely clean with no ingrained dirt. 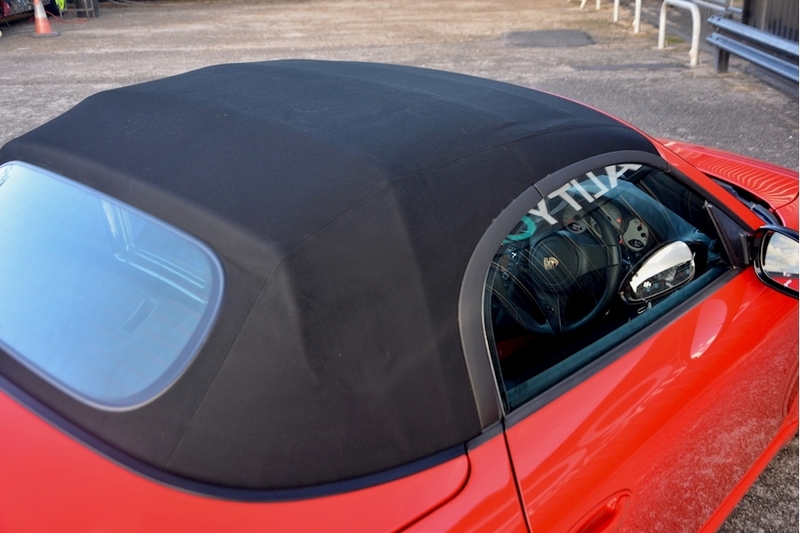 The Black Hood is in very clean condition with no ingrained dirt or damage. 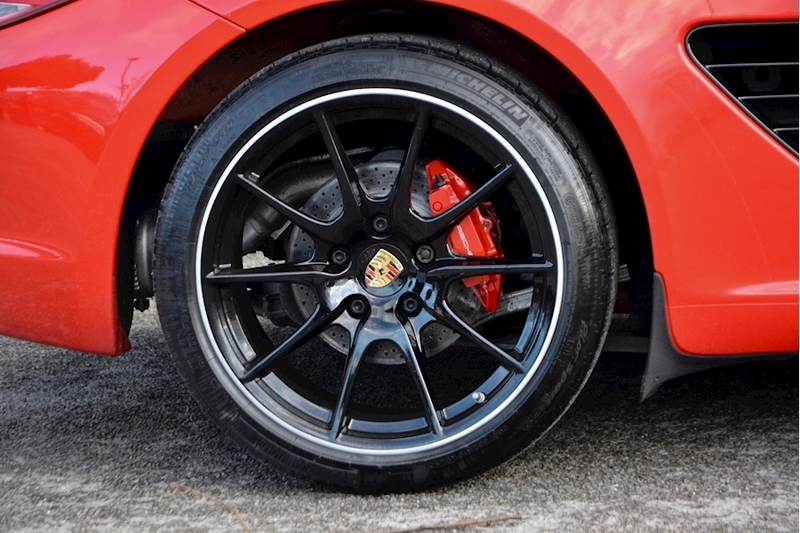 Individual body panel and wheel pictures available on our website. 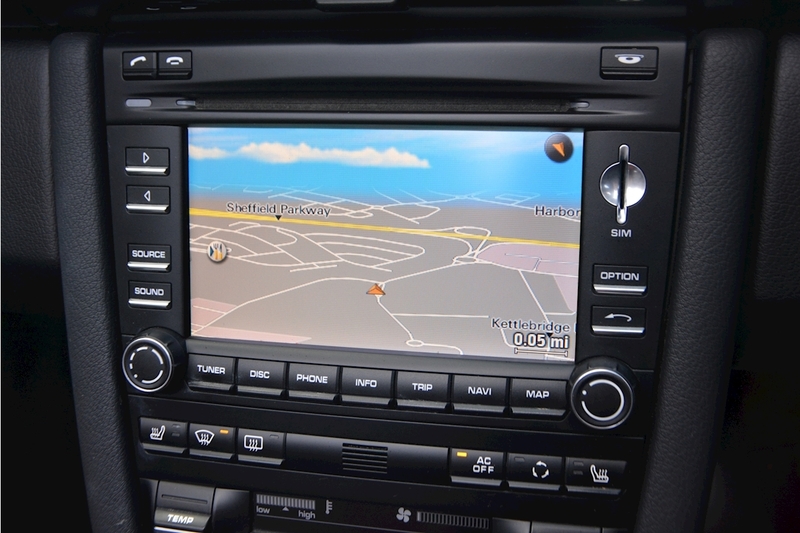 HD Video walk around on request. The beautiful specification continues on the inside with painted rear console, Guards Red Belts, Heated Seats and Sport Seats etc. 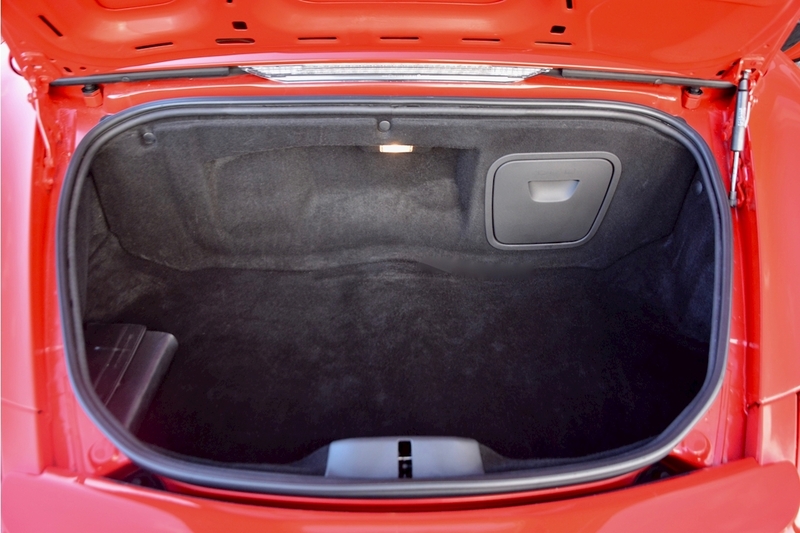 This car has not been smoked in or used to carry pets and there are no lingering smells. 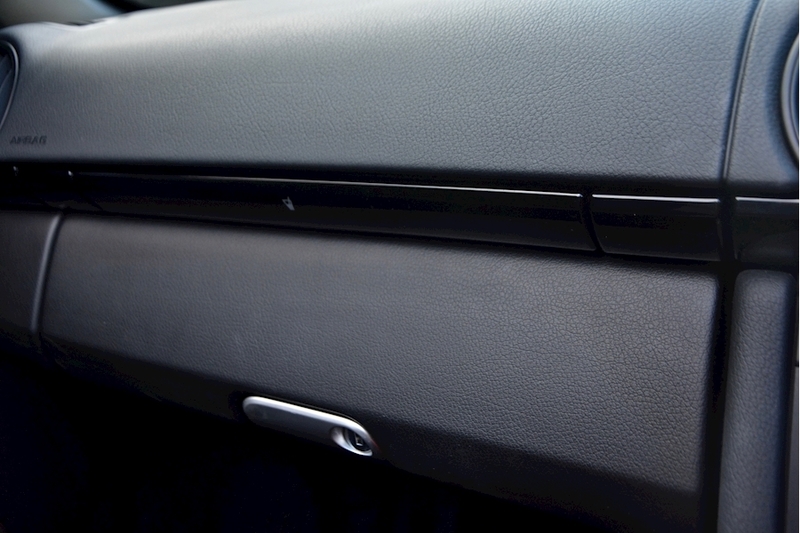 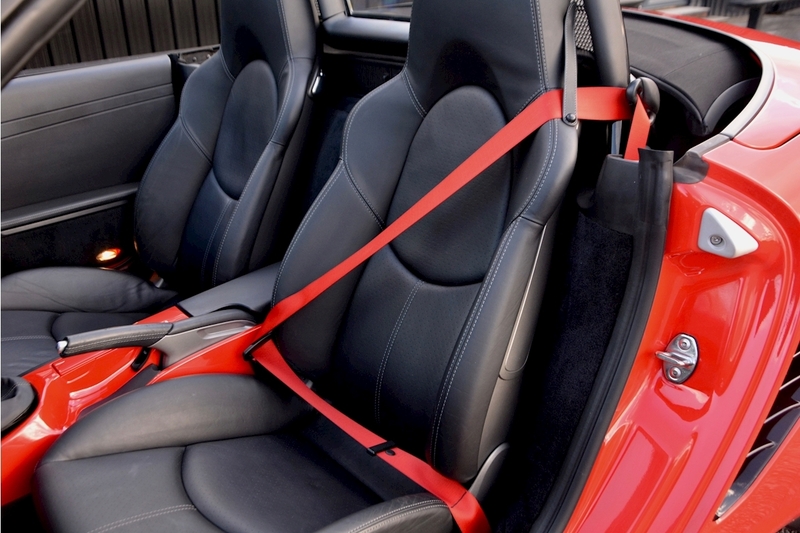 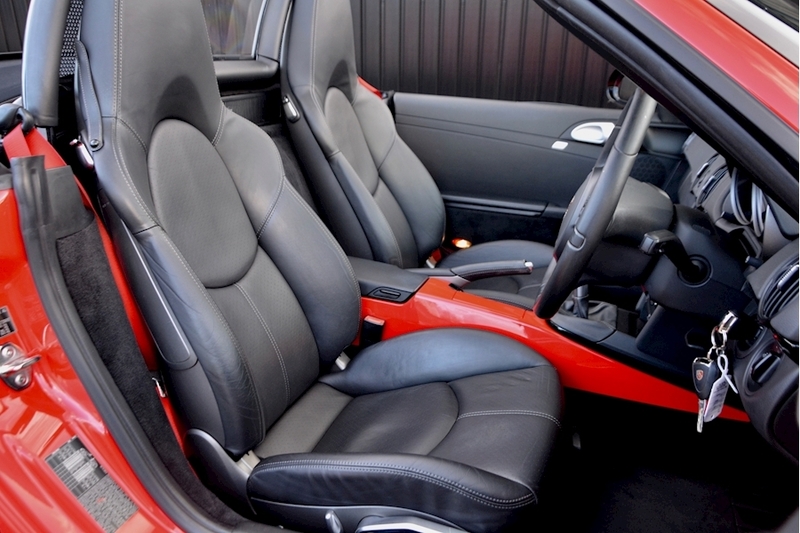 The leather is all in good order with no ingrained dirt, damage or scuff wear to bolsters. 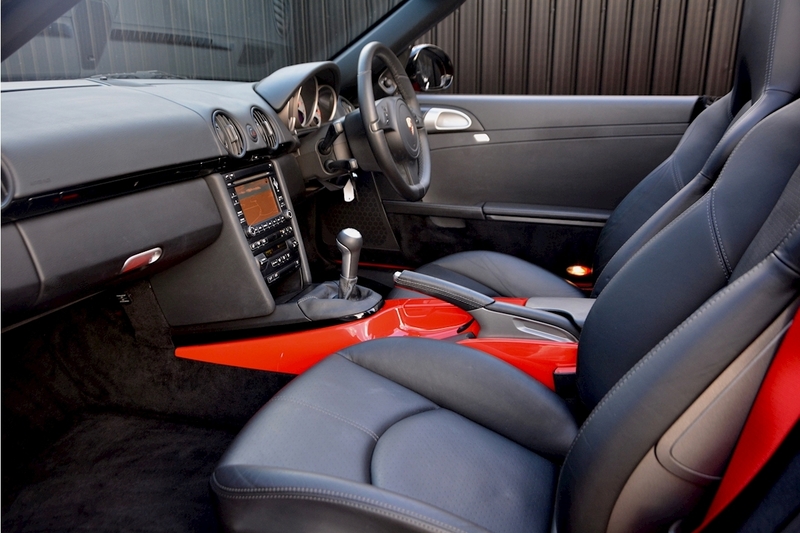 The carpets are all clean with no damage, stains or heel wear. 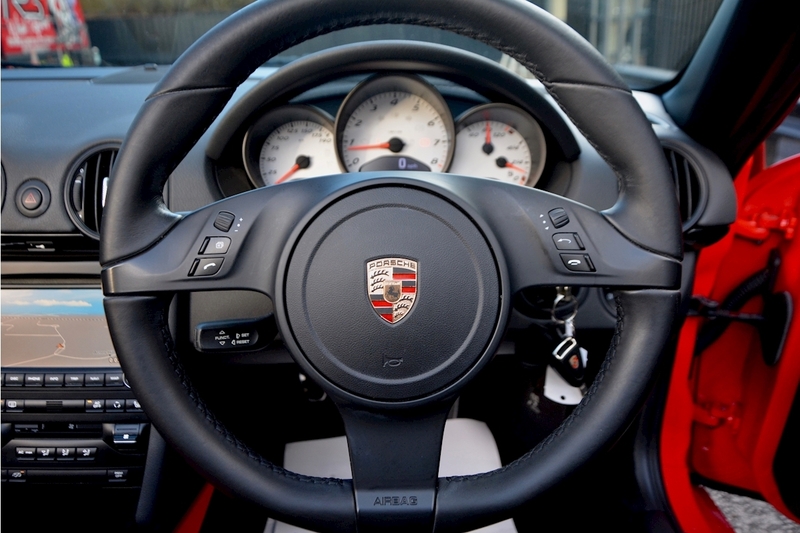 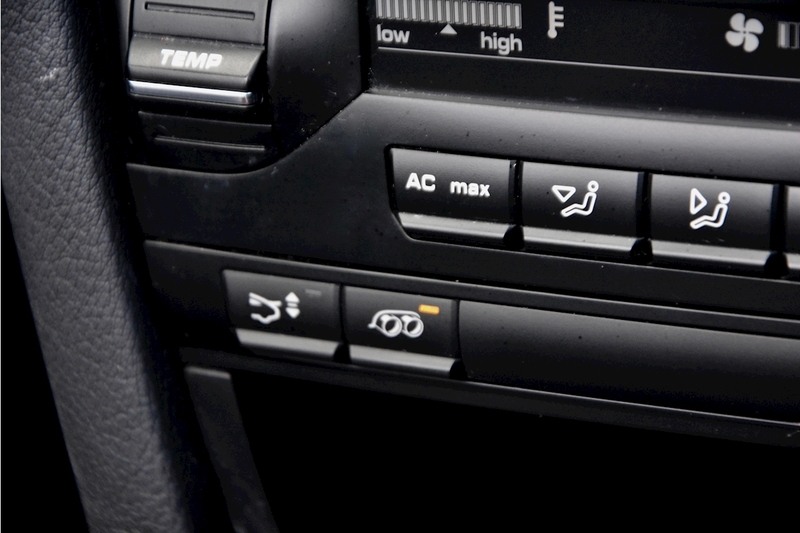 There is no damage or wear to any of the buttons or steering wheel etc. 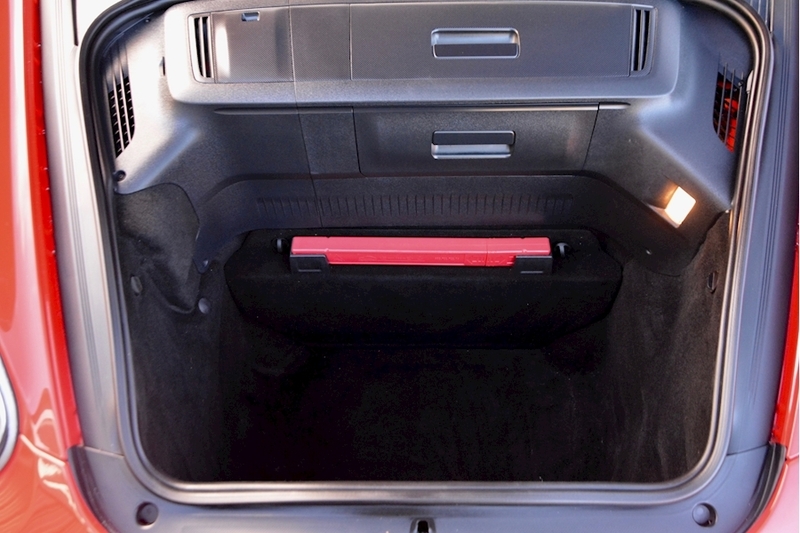 Both under the bonnet and in the boot are very clean and tidy.